A Family Struggles To Save A Son From Heroin : Shots - Health News Brandy Trabosh got to the point where she told her brother, Nikko, not to come for Thanksgiving so he wouldn't get high around her kids. The family is trying to help Nikko, 22, stay off heroin. 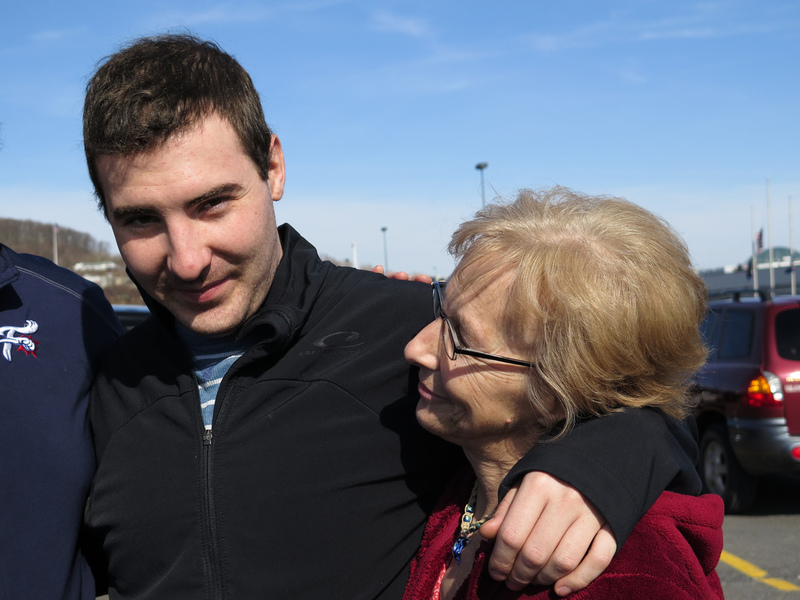 Nikko Adam, 22, gets a hug from his mother, Patti Trabosh, after his family picked him up from his sober living facility for a weekend outing. Here's how I knew I liked Patti Trabosh. It goes back to the very first time I called her out of the blue to ask whether I might profile her family for a story on opioid addiction. The very first words out of her mouth were, "I'm pissed off!" Trabosh went on to explain why she was angry. 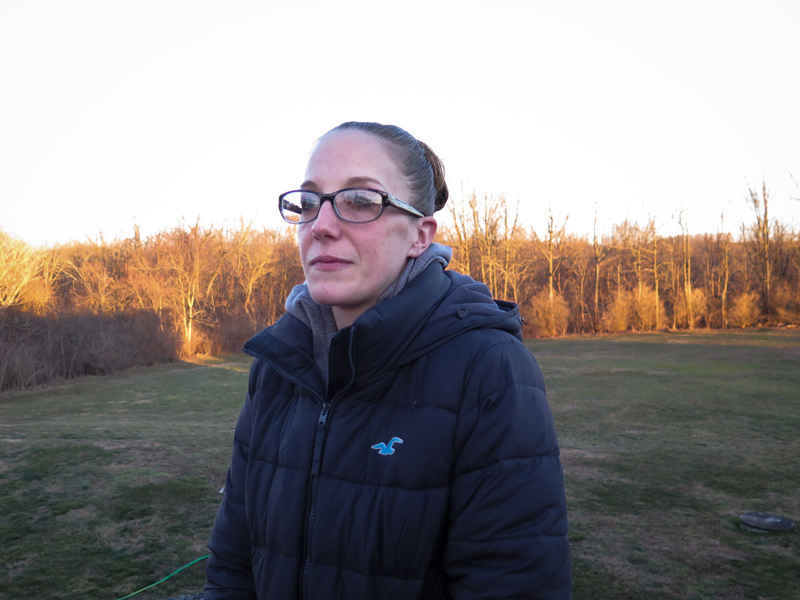 First, it was the struggle to find a bed in a drug treatment program for her 22-year-old son Nikko Adam. He had become addicted to prescription painkillers and then heroin when he was still in high school. He'd been in rehab twice before, and relapsed both times. Once she found an available treatment slot, it was the seemingly endless and maddening battles with her insurance company, trying to get them to cover Nikko's treatment. She told me, "The bottom line is, it's easier for addicts to go get another bag of heroin than it is to get help." I had been put in touch with Trabosh by Judy Schwank, a Pennsylvania state senator who's been deeply involved with trying to solve the opioid crisis in her state. She led me to the Kutztown, Pa., area, to Patti Trabosh and her family. They include Brandy Trabosh, Nikko's 30-year-old sister; Mikey Roth, his 34-year-old brother; and Henry Adam, his father. 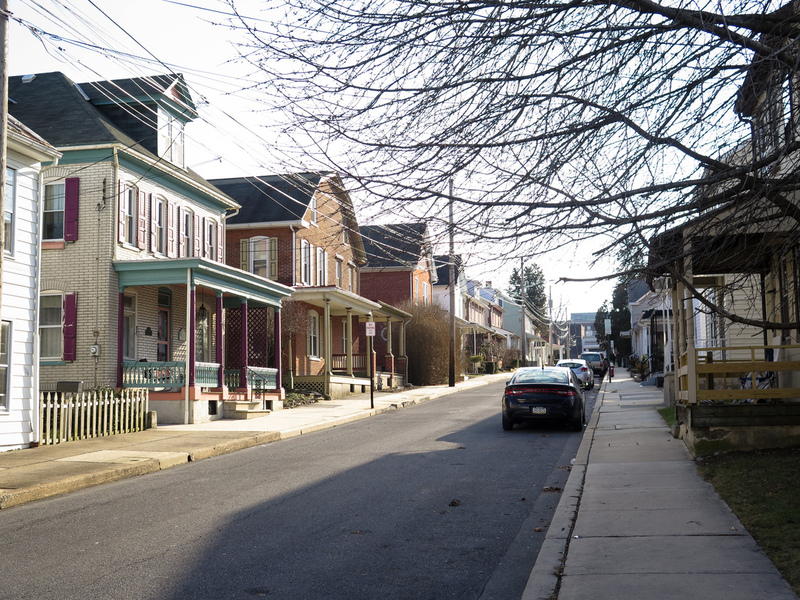 Kutztown, Pa., is a small town that has been hit hard by opioid addiction. I spent time over three days talking with them about how Nikko's heroin addiction has challenged the family, in Kutztown and in nearby Hamburg. We also met Nikko near the sober living facility where he's been staying. Here are highlights of our conversation, which has been edited for length and clarity. Brandy Trabosh's experience with her brother Nikko's addiction has led her to have early conversations with her 11-year-old son about the risks of illicit drugs. Brandy: When I went to high school there, you never heard about anything like that. None of the heroin, none of the pills, nothing. And it was like a huge shock, once I heard, like WHAT?! Where does that even come from? Where do you get that? Who would want to do that? Brandy: For a while, when I had holidays or parties or whatever here, I had to lock everything up. I told Nikko, actually, Thanksgiving, I said, "Don't even come." 'Cause I was just at the point where, I have all these people here, I don't have time to watch and make sure that he's not stealing something, or that he's not high around my kids, or he brought heroin into my house when my kids are here. So I just said don't come. Mikey: We lost him to heroin. It was only a point in time when he was going to overdose, and we knew it. Brandy: We hear about the overdoses and we're like, "Oh! Nikko, please stop, everybody's dying!" And Nikko's lost some friends, too, to overdose. So I guess everybody feels like it's not going to happen to them. And maybe that's the reason for the hush-hush. If you don't talk about it, then it's not real. Patti, talking to Henry: And I said that to you. I said, "We're going to bury this kid." Didn't I say that to you? Yep. I was waiting for him to call me and tell me that Nikko was gone. He should be dead! He should be dead, with all the heroin he used plus the two vehicles he totaled! Henry Adam holds a photograph of his son Nikko when he was younger. Henry discovered that Nikko was using heroin when he was in high school. He regularly found empty heroin packets in Nikko's room and in the trash. He would save them to confront his son. Henry: It's a daily struggle for me. I'll never come to terms with the fact that in some way, shape or form, I'm responsible. Patti: For a while, people would say, when it first started, they'd say, "How's Nikko?" And I'd say, "Oh, he's great." But then it just came to a point where they'd say, "How's Nikko?" And I'd say, "Oh, he's a heroin addict." And they would be — "Ah, what?" "Yeah. He's a heroin addict." And that's just how it is. Like I'm not going to hide anything anymore. Nikko: I'm hopeful for the future for the first time. I can actually look into the future now. I have faith now. Patti: He's not gonna relapse, I'm tellin' you right now. He's too serious about his recovery. It's not gonna happen. Mikey: I'm really optimistic about this time, but the whole thing with this is, if he wanted to go out and score heroin, he could do it pretty much anywhere that he goes. This story was produced by NPR's Evie Stone.